In 2017, cryptocurrency came into the mainstream spotlight. Bitcoin soared to a record high of $19,783.06, and the entire crypto market surpassed 800 billion dollars. Prices have cooled off since then, but 2017’s crypto frenzy made it clear that digital assets are here to stay. World leaders are turning their attention to cryptocurrencies, including Christine Lagarde, the head of the IMF. In a recent blog post, she highlighted the benefits that cryptocurrencies bring to the table. The IMF is working to foster global monetary cooperation. 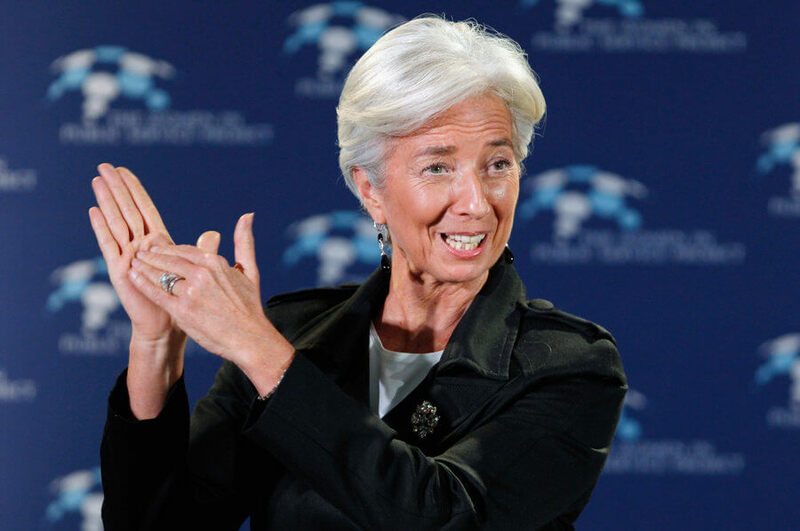 Before becoming the managing director of the IMF in 2011, Lagarde held various positions in the French government, including Minister of Economic Affairs, Finance and Employment, Agriculture and Fishing, and Minister of Trade. Lagarde was ranked the 8th most powerful woman in the world by Forbes magazine in 2017. She is currently serving her second five-year term, following her unopposed re-election. Lagarde was the first female chair of the international law firm Baker & McKenzie between 1999 and 2004. Now it is apparent that she is turning her attention to cryptocurrencies, along with the rest of the world. On April 16th, 2018, Lagarde wrote a post on the IMF’s official blog. She highlighted decentralized assets’ potential to reduce transaction fees, especially with international trade. The underlying technology of crypto-assets—distributed ledger technology, or DLT—could help financial markets function more efficiently. Self-executing and self-enforcing ‘smart contracts’ could eliminate the need for some intermediaries. Crypto-assets enable fast and inexpensive financial transactions while offering some of the convenience of cash. In developing economies, such advances can help secure property rights, increase market confidence and promote investment. Prior to any form of government regulation or acknowledgment of digital assets, public opinion of cryptocurrencies was iffy – however, as governments and international institutions begin to recognize crypto, they are becoming more legitimate in the public eye. Although many crypto investors are dreading governments imposing heavy taxes and enforcing strict regulations, it may not be the end of the world – in fact, government regulation may be beneficial in the long run. If large governments decide to take action and regulate decentralized assets, it signifies to the public that they are legitimate. Once cryptocurrencies are regulated by governments and backed by more traditional forms of currencies, people will feel safer investing in the new asset class. As the head of the IMF, Lagarde’s words weigh heavily on international monetary policy. Her positive remarks are reassuring – hopefully, governments and citizens alike will continue to adopt a more positive opinion of cryptocurrency.